Cheap Neon Leg Warmers - 4 Ct. Neon Leg Warmers - 4 Ct.
Pairs nicely with our neon tutus and mesh gloves! Great accessory for any 80's or neon themed event! 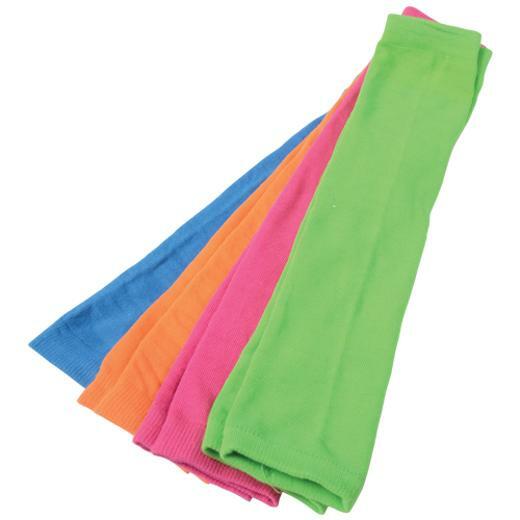 Bring back the feeling of the 80's with these neon legwarmers. Brightly colored, they pair nicely with our neon tutus (CM44) and mesh gloves (CM47), completing the look for your next 80's or neon themed event! L: 13.1 in. W: 13.35 in. H: 2.0 in.